Anzegem village is about 20 kilometres east of Kortrijk, off the N382 Waregem - Ronse road. 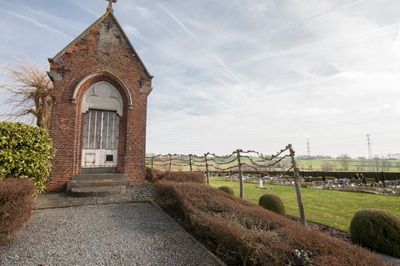 From the motorway E17 turn off at Junction 4 Deerlijk, and turn onto the N382 direction Ronse. 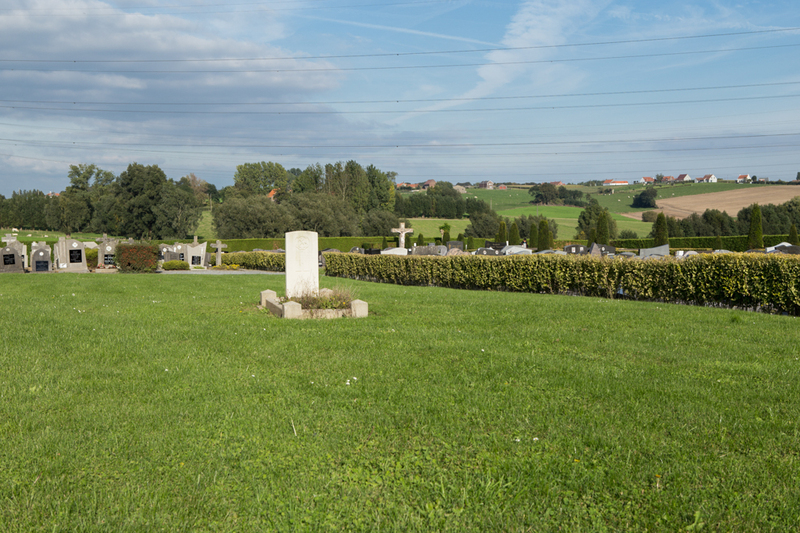 Continue along this road through the village of Anzegem past the junction with the N494, take the first turning left past this junction and the cemetery is at the end of the road. 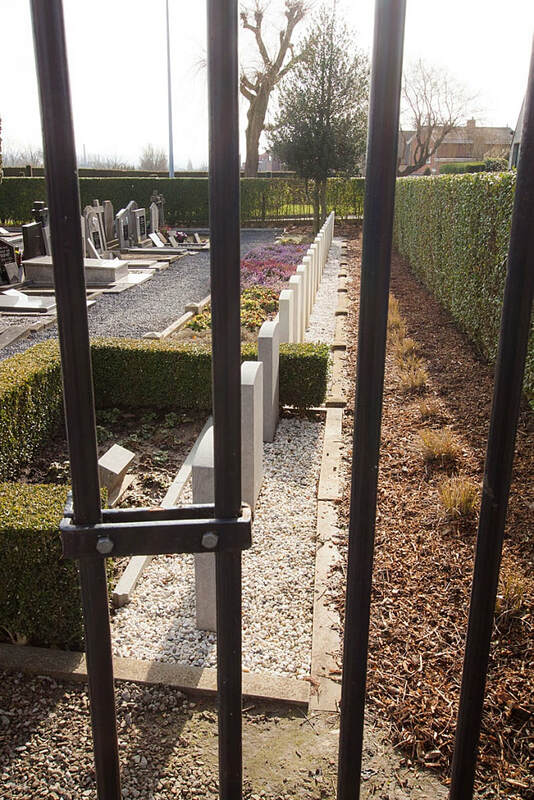 The WWII graves are to the right of the main entrance against the boundary hedge. 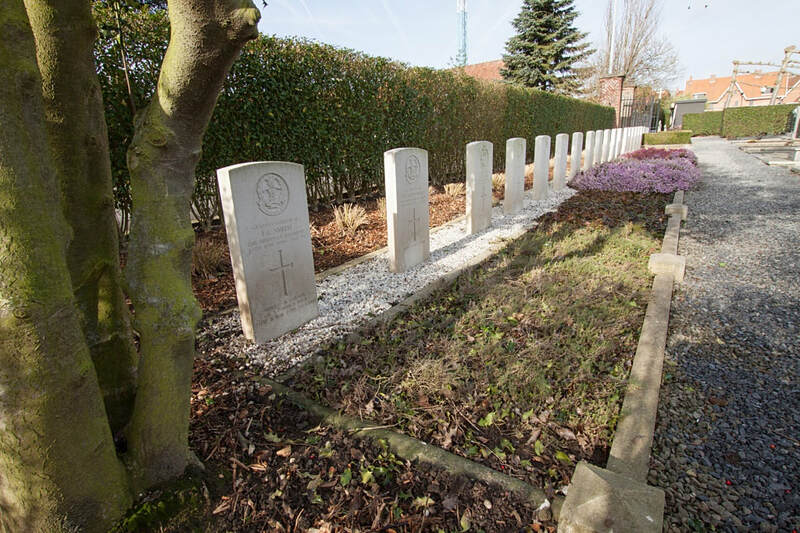 The WWI grave is in the middle of the cemetery. 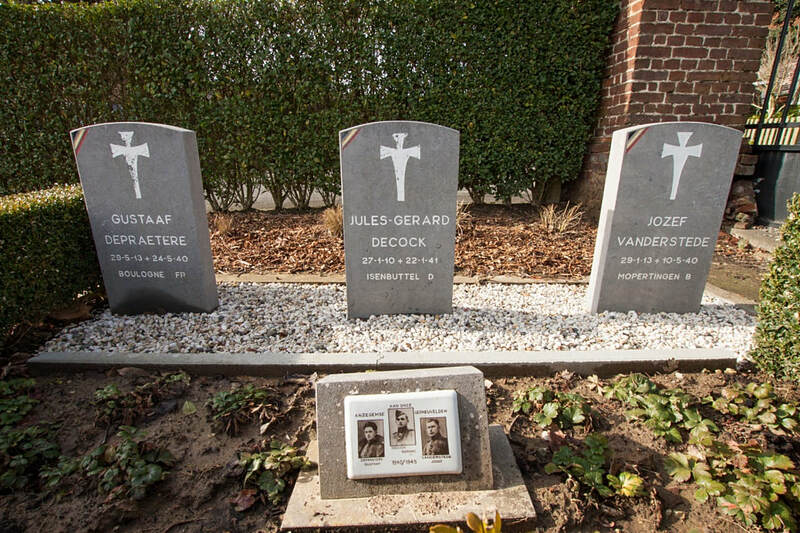 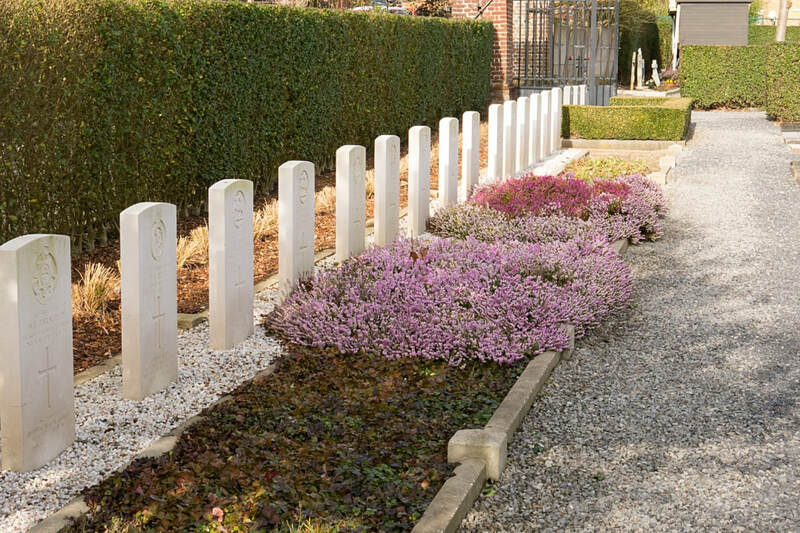 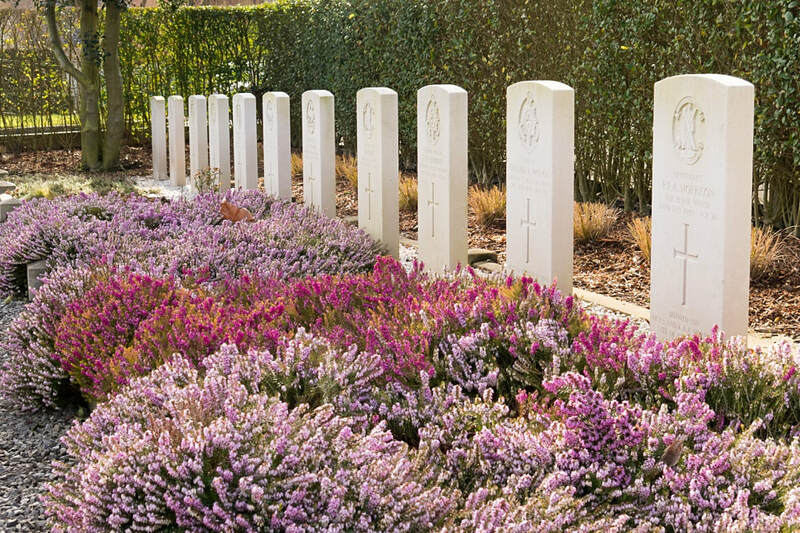 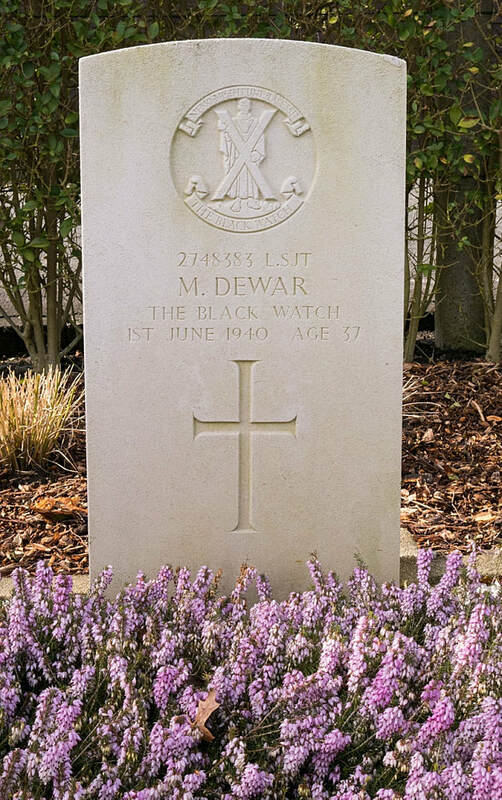 Anzegem Communal Cemetery contains 18 Commonwealth burials of the Second World War. 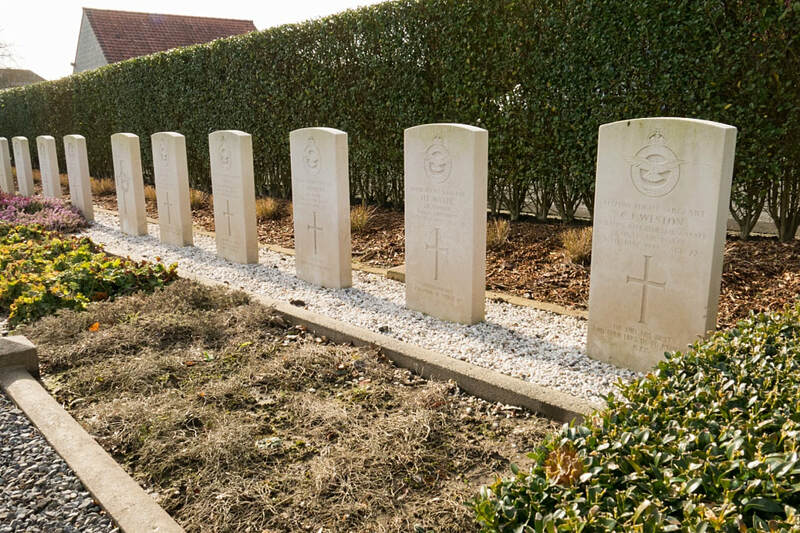 There is also one First World War burial. ​200957 Corporal Edward James Crocker, 10th Bn. 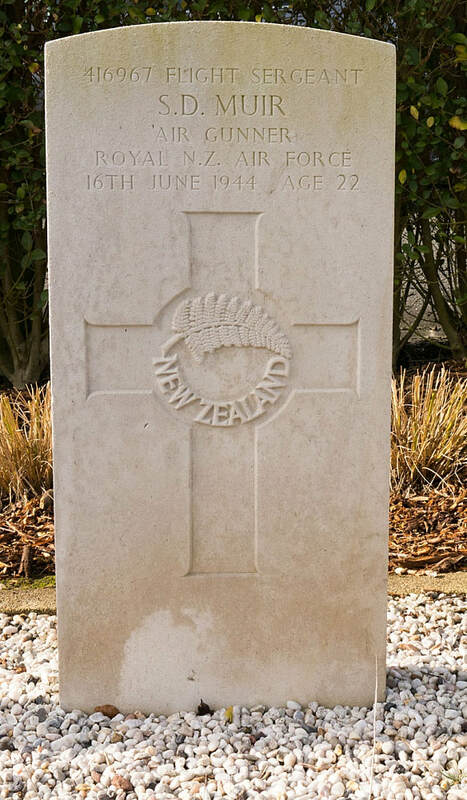 Queen's Own (Royal West Kent Regiment), died 7th November 1918, aged 24. 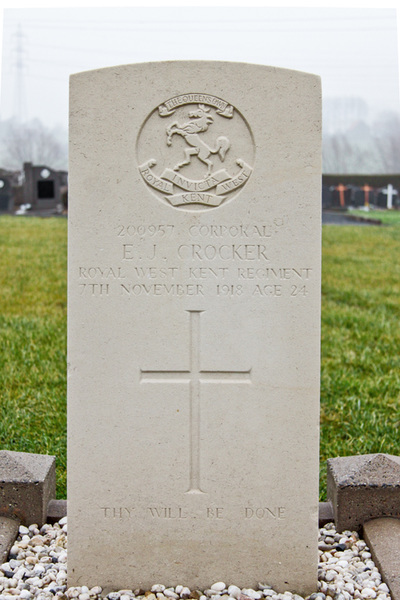 Son of Edward John and Susan Crocker, of 36, Bayhall Rd., Tunbridge Wells, Kent. 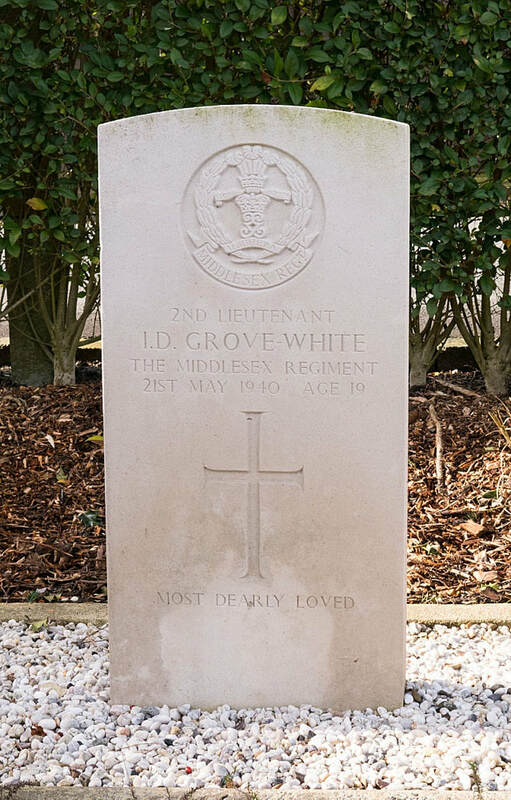 Also served on Gallipoli.